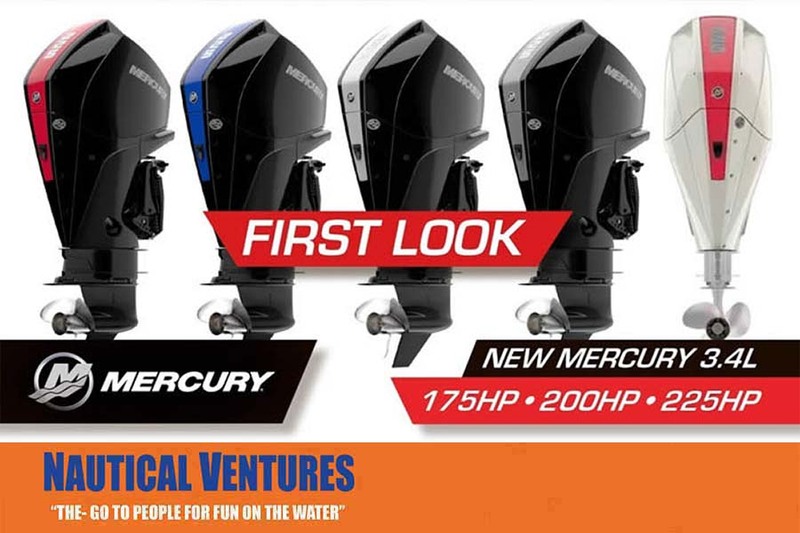 Verado - The Verado outboard motor raises the bar by delivering between 175-350 horsepower. Power isn’t the only impressive thing about its performance. The Verado also features reduced noise, low vibration, and responsible fuel efficiency. The supercharged four-stroke power creates unrivaled mid-range acceleration. Pro XS - The Pro XS brings anywhere from 115 to 250 hp and best-in-class top speed. This outboard adds tremendous value for any fisherman. With the Pro XS, you can have it all: speed, reliability, and fuel efficiency. FourStroke - This four-stroke outboard is available from 2.5 to 150 horsepower. At 150 hp the FourStroke brings a performance that gives even the Verado a run for its money in most areas. This engine is made to be small and light, which helps keep it efficient as it churns out power. SeaPro FourStroke - This commercial outboard is designed to perform perfectly in any condition. Options exist in the 40-150 hp range. Jet - The nimble jet provides great handling at any point in its 25 to 200 hp range. This makes it ideal for narrow passes and shallow waters. OptiMax - The OptiMax delivers powerful performance thanks to its Direct Fuel Injection (DFI) technology. DFI helps maintain reliability, efficiency, and easy handling at all speeds. 200-250 horsepower gives this engine plenty of acceleration ability. When you need a Mercury engine for sale in Palm Beach, Nautical Ventures has a convenient location to serve you. We can even install the engine at our local facility after you buy it. Tags: Mercury Engine Dealer, OptiMax, Jet, Pro XS, FourStroke, Verado, Mercury Verado, Mercury Four Stroke, Mercury dealers, Mercury motors, Mercury Outboard Engine, new mercury for sale, Mercury outboard rigging, Used mercury for sale.